ODM national treasurer designate Timothy Bosire has quickly found himself a lone ranger in Gusii politics after all his allies and ODM politicians abandoned him in turns and twists resembling the Simeon Nyachae fallout of 2007 that ended the old man’s political career. 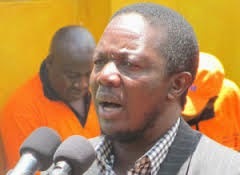 Many ODM insiders in Gusiiland accused the first time Kitutu-Masaba MP of monopolising access to ODM leader Raila Odinga and turning sycophantic ever since he became the former prime minister’s close ally in the region in 2006 after the Orange-Banana referendum. Already, Nyamira and Kisii county ODM leaders starting with the two governors; John Nyagarama and James Ongwae and key legislators, Richard Onyonka, Peter Ogari (Bomachoge) , Patrick Geni (Borabu) James Gesami (W Mugirango) all of ODM, have kept a distance from him as they blame him of sidelining and disrespecting them. Though some have drifted to the government side, others have stuck with ODM but have been lobbying close Raila handlers to allow them to operate separately from Bosire. The angry MPs said that Bosire is the main cause of ODM losing all by-elections in the two counties since last year, both which have been won by a resurgent Ford People. But it is the painful consequences of ODM losing popularity in the region that is worrying many as it is increasingly clear that Ford People which is rebranding and rapidly regaining its former popularity is annoying many ODM diehards and making many reconsider their political alignments ahead of 2017. Already, talk is rife that Kisii senator Chris Obure could be considering quitting ODM to work with Charles Nyachae who is poised to retire as chairman of the Constitution Implementation Commission and vie for the position of Kisii governor to replace James Ongwae. Though Obure is not known to be close to the Nyachae family due to decades-old political rivalry, he is known not to mind Charles who is said to be less confrontational as compared to his father Simeon Nyachae. Obure also fears that if he does not work with the Nyachaes for 2017, the void may be filled readily by Omingo Magara whom he beat narrowly last year. Although it appears that the quiet move by Obure to join hands with the emerging Ford People leaders is to survive in 2017, it is also said that he wants to hide under the close relations between the Nyachae family to avoid any hard actions by the government over the perennial Anglo-Leasing scandal linkage. Recently he, together with Chris Okemo and Musalia Mudavadi were adversely named by AG Githu Muigai as among key players in the Anglo-Leasing scandal, especially the one that saw the government forced to pay billions after a court ruling in Europe. Though Obure was mentioned, he has not been prosecuted or found guilty by any court of law over the scandal that almost brought down the Mwai Kibaki regime in 2006. However, he fears that it has serious political repercussions and in delicate times opponents can unleash it on him with devastating effect to finish him politically. Close associates said that Obure initially thought of joining Uhuru Kenyatta straight as have done Coast ODM leaders led by Gideon Mung’aro but was advised to look for a Kisii friendly route to working with the president for political safety. In 2002, Obure supported Uhuru’s first stab at the presidency under Kanu but both failed miserably. 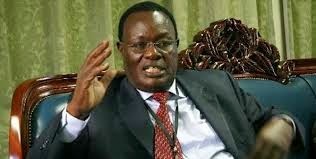 He only recovered after crossing to ODM reluctantly in 2007. The irony of the twists in Kisii and Nyamira is that a worried Bosire has sent emissaries to former Sam Ongeri to abandon Jubilee and be ODM’s senator candidate in Kisii in 2017. Ongeri is a Jubilee hardliner who was recently rewarded with an appointment as Kenya’s envoy to the United Nations Habitat.